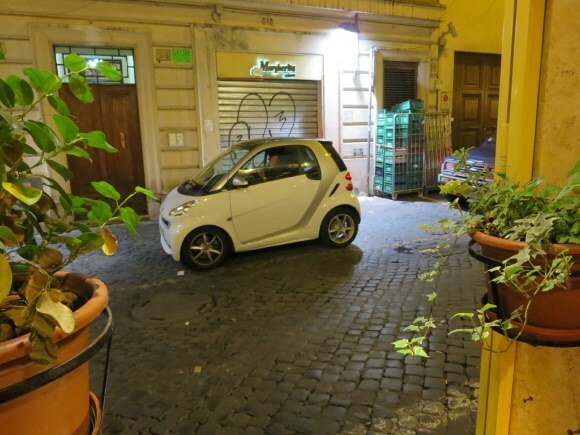 Vendors 1: When we first came to Rome we noticed that there are vendors all over the city selling different things. They are for the most part illegal and when the police come they pick up their stuff and run. Each year we notice that there are new things they sell – lights, balls that collapse, toys that make noise, things that shoot high in the air, etc. 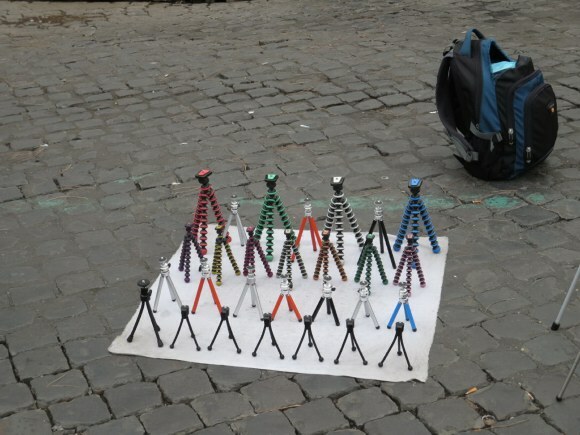 A few years ago we started to see small camera tripods. They were in different sizes and were all black. This year we noticed that they have gotten fancy with rings of color. Vendors 2: We have said this before but we have no idea how any of these vendors make any money. They always seem to set up together and sell the same thing. Sometimes you see 7 or 8 of them in a row. 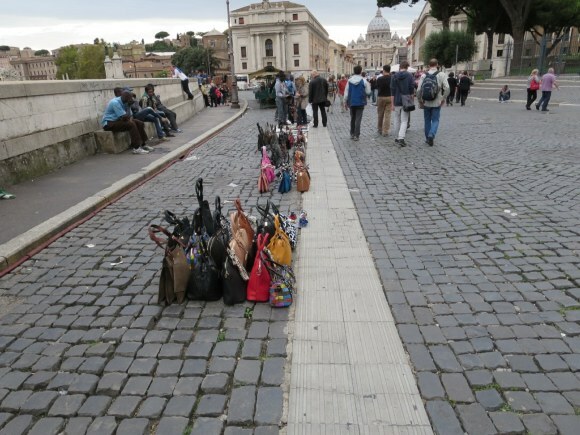 Close to the Vatican you can see a line of pocket book vendors. Magic Car: I took of picture of this car after the driver unlocked it and got in. It was parked right outside the window of the restaurant. She unlocked the car by using her cell phone. Do we have that technology in the US? I am not sure. Women in Uniforms: I think I have sent other pictures over the years of Italian women who were street sweepers/trash folk. Now I am into Italian Police Women. Restaurant Sign: I believe that this restaurant just did not want to have people talking on their cell phones. 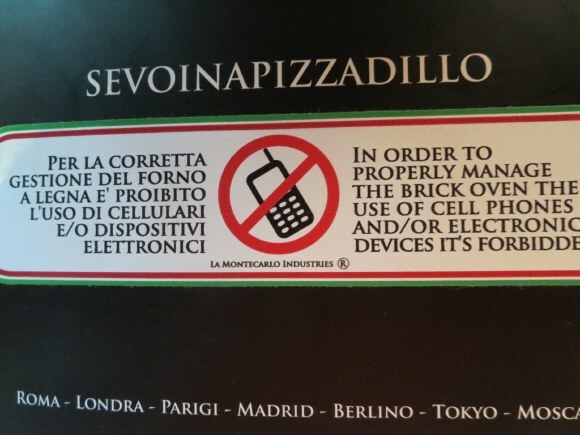 I am not sure why a pizza oven would be affected by cell phone signals??? Tartufo in Rome: While we were in Martha’s Vineyard I took a picture of a $6 peach. 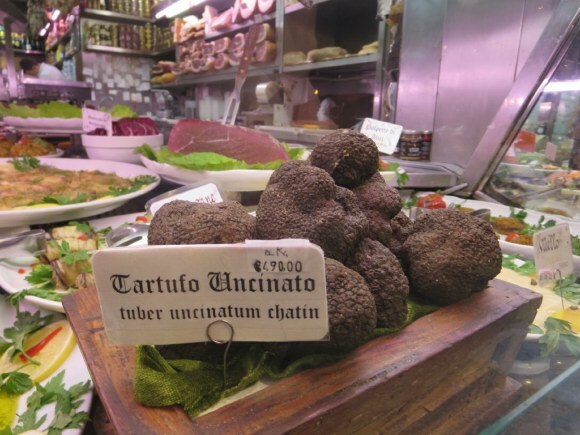 Here in Rome it is mushroom season and in this store we have the 398 euro per kg Tartufo. 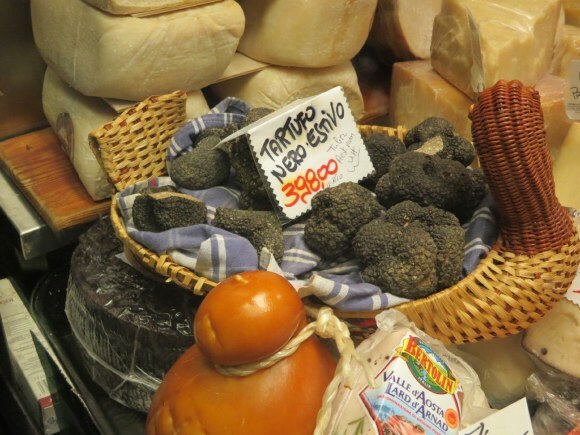 The next day we found a store with 500 euro per kilogram or about $300 per pound. 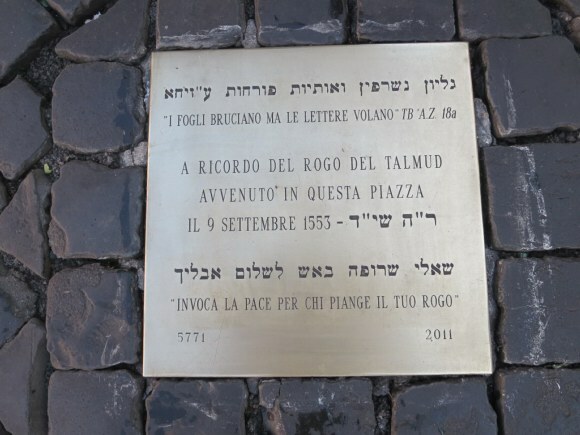 September 9, 1553: Pope orders all Torah scrolls brought to Campo di Fiori and burned. 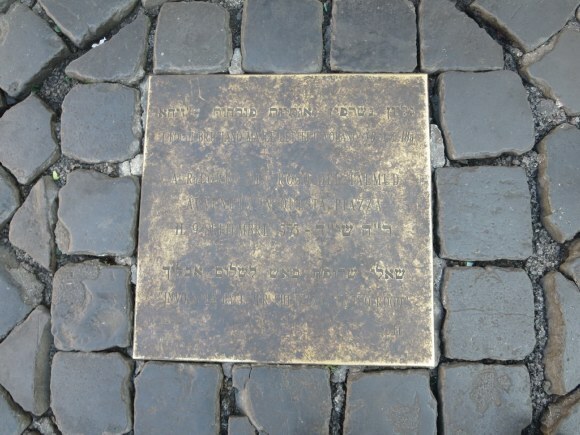 About two years ago a bronze plaque appeared to acknowledge the event but it is on the ground and it gets filthy. The King and Queen make it a to clean it at least once per trip. These are the before and after pictures.